One of the greatest ways to start off the day is to finish up a project! It makes you feel like you’ve accomplished something significant right off the bat. 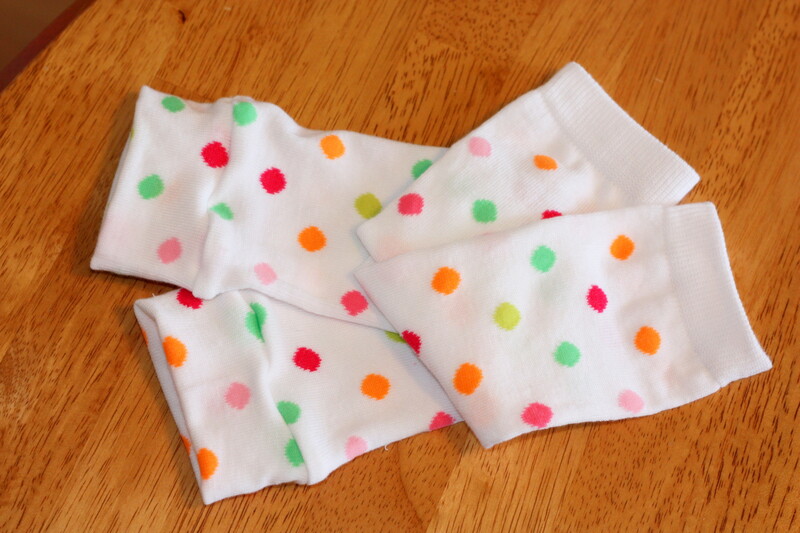 Which is why 5-minute projects like these “babylegs”, aka leg warmers, were a jump start to my morning! I didn’t take pictures as I went; I was in a hurry! I thought I’d be able to sneak down to the sewing room for 5-minutes to whip these things out. Leaving the girls content in the living room for about the same amount of time as needed to switch loads of laundry. However when I sewed the one with the seam facing the wrong side it took me closer to 8-minutes instead of the hoped-for 5. Big Girl loves them! She’s already requested I wash them immediately so they’re ready to wear to gymnastics tonight. I couldn’t believe how simple this was. I’ll be scouring the stores for clearance socks from now on.